As we already said in our previous Blog post, the ultimate goal for all business owners and fellow marketers is to win a market game and make a lot of money. Things roll around having great content and appealing website design, a catchy logo and all things visual. But also the game is about selling products and services and knowing how the process works. 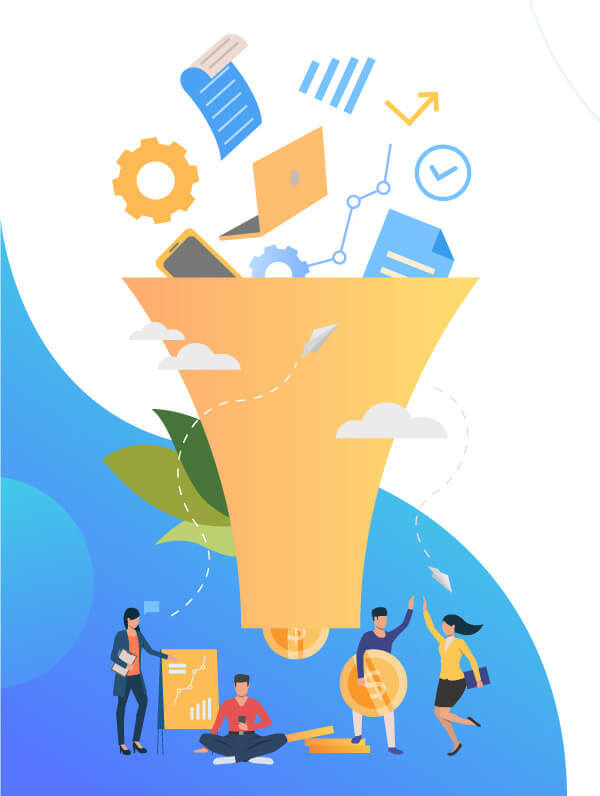 So, having a good Sales Funnel improves the effectiveness of your marketing strategy, by breaking it down into small and comprehensive pieces. This “thingy” gives you the ability to drill down your marketing strategy and dive into each specific step people take before making a purchase. As we know, Sales Funnel represents a process new customers go through when signing up for your service or buying your product. Can you visualize your sales funnel? Maybe they are impressed by your storytelling, or by your website design skills or your logo...and they’ve seen you around. Would it be enough to buy you product instantly? But ask yourself – what must happen before your customers decide to buy? Think about it as steps. They are intended to guide visitors towards a buying decision. These steps are considered to be marketing assets that lead to the selling part – like setting up social media, driving traffic, creating landing pages and writing emails. You’ll need people to see your product; there can be a thing or two to get traffic to your sales funnel. Paid Advertising: this includes Pay-Per-Click advertising, display advertising, or Facebook and Instagram Ads. Now, you can sell directly on Facebook and Instagram, but there is no over the night success (except if you are Kardashian). And it can cost a LOT. Content Marketing: this means publishing interesting content (through a blog) to direct more traffic to your website. This will pay off more in the long run, but will take longer to build. You can use either one or all abovementioned options to drive your sales engine and set you high on the income scale. First things first – how can you do it? The first thing you need to do when setting up your sales funnel is to scheme your prospect’s experience within each stage of your sales funnel. Try to visualize customer experience when they interact with you at each stage of your sales funnel. At the first stage, think about and articulate what message will your customers see when their first encounter with your brand. This might be finding your website through simple Google search, or seeing Facebook Ad, etc. What would their reaction be, how would it make them feel. What are their needs, do they need help in deciding or some extra info. You may want to map these actions and evaluate your customer’s experience for this stage. It’s never been easy for anyone to succeed in the market just for being pretty. In doing business, this usually means that flashy website design and appealing logo is only a first stage – a stage where you must take actions. Write down every sales activity you will engage in to create the customer experience that gets results. Reflect on all your sales funnel activities – it can help you manage and stay focused on the most important tasks during each stage. Document all activities (and keep them tight). 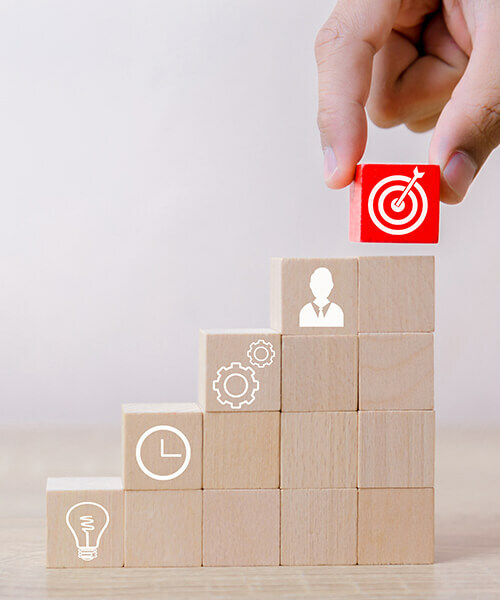 Businesses relying on a few customers and which aren’t looking to expand should specifically focus on the loyalty phase of the sales funnel. There are tools and strategies that build around Customers Relationship Management, creating customer’s journey for businesses that want to improve customers experience during each stage of the process in order to increase number of sales. Apart from being an awesome business (which you are, ofc. ), having great service and products, and some marketing budget, you might want to invest in proper tools and activities that gets your things going. Sales funnels gets you focused on carrying out the right sales activities at the right time in the prospect relationship. If you’re in one of the first stages, you are “creating” prospects or having a lead generation activities. On later stages, you are sending your customers quotes or proposals so they can evaluate their options and ultimately make a purchase. If you keep a good track of all of these activities, invest in your content, create a good website, sales page or letter, you are on the fast track to get more buying customers and a good retainer percent. And remember, you’re never too small to succeed!